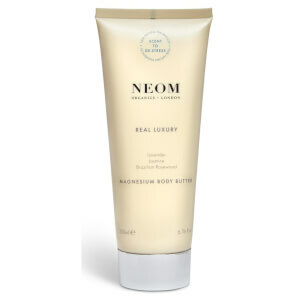 Reap the benefits of stress relieving bath with the NEOM Real Luxury Natural Multi Mineral Bath Salts. 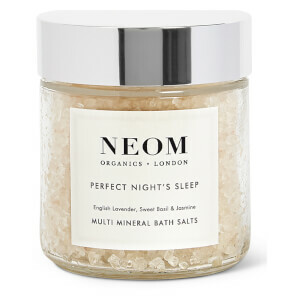 Perfect for overall wellbeing, before bed or post-workout, the relaxing bath salts are scented with the Real Luxury™ fragrance, which is powered by 24 relaxing essential oils to help relieve stress, including Lavender, Jasmine and Brazilian Rosewood. 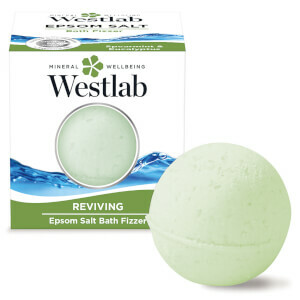 Also contains Pink Himalayan Salt, Safflower and Jojoba Oil to help detox and rebalance the body. Sodium Chloride, Carthamus Tinctorius (Safflower) Seed Oil, Simmondsia Chinensis (Jojoba) Seed Oil, Parfum* Quartz, Linalool, Limonene, Geraniol, Eugenol. Made with 98% certified organic ingredients.